Security comes in many shapes and sizes. The risk to security that concerns me today is the laughing stock of the democratic world our UK media is fostering and appears to be completely oblivious to the dangerous divisions it is forging and national credibility it is undermining. This comes at a time the United Kingdom is on the doorstep of great things as it leaves the failed European Union experiment that continuous to encumber continental Europe. 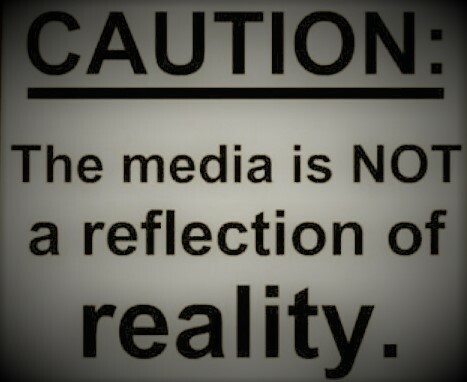 The media are behaving like fifth columnists in a dangerous game of political point scoring from some very bad losers at the expense of tragedy. Instead of pulling a country together by championing all the good that is happening in response to the Grenfell Tower Fire, it is being distorted in the most callous of ways and in such chaos allowing false news to fan the flames of division. On the Political left, in blazon Marxist fashion, they seem to be living in some alternative reality as they call black white on the results of the recent general election emboldened to encourage social dissent, driving a class war agenda for their own political gains in complete disregard for the damage this is doing to social cohesion and global credibility. As for the political right, it wallows in a state of paralysis in response to lies so bold and blatant that they probably do not feel any need for response, as any intelligent person can see the lies for what they are. The danger though is the Labour lefties loyal lemmings seem dead set on following their heroes out of the realms of reality and off the edge of a cliff. Jeremy Corbyn’s Labour agenda risks plunging the UK into class warfare. Imagine the disaster if they got into power. Labours manifesto leaves any level-headed assessment in no doubt of the economic black hole they propose to dig, whilst at the same time risking the UK’s national defence with their ‘Jaw, Jaw’ attitude to extremist threats. Looking at the media headlines you would not guess that Labour lost the General Election a few weeks ago would you? Furthermore, the fictions surrounding the sad events of the Grenfell Tower Block fire seem to be a free for all in Labours point scoring against the Conservatives as the media pour vitriol on a hapless Teresa May. The fictions being used are the cheapest and most disrespectful form of political ammunition delivered in the relentless way bullies puff up their self-importance. When you get the Star, Mirror and other tabloid papers turning from their usual trough of tripe to defend a Prime Minister and call the Labour party’s political point scoring behaviour abhorrent, you know things have gone too far. The BBC, that iconic British marque that is meant to represent a standard for reporting and credibility continues its nose dive into the gutter. Whomever is in charge seems determined to tarnish it once and for all, demonstrating a disregard for credible reporting. The BBC is acting as no more than a sound box for false news and any loud-mouthed chancer who can string enough words together to make a catchy headline, with articles being broadcasted that lack basic scrutiny and fact checking. The Internet and social media trend seems to be breading a new age of poorly researched information that gets picked up and magnified by once reputable channels like the BBC. The BBC has led the reality distortion brigade into new territory with their Brexit coverage and unchallenged seem to have now adopted this as an acceptable new Norm. It’s not acceptable and the sooner someone stands up and educates them the better. The unprofessional and irresponsible premature conclusions coming through the reporting and speculation on the Grenfell Tower fire tragedy has to be the final straw. The BBC amongst others are simply fuelling rather than abating a highly emotional state of affairs. The fire brigade responded in record time to the fire, so why did the mainstream press not correct this? The answer was found in spurious online statements from international sources that were picked up by trigger happy journalists. Gas piping – The article that questioned the redevelopment placement of the gas pipes in public access corridors and stairways, implying that this was some gross mistake. Well consider the fact that this is perhaps the SAFEST place to put gas pipes in such a refurbishment of an old structure. Or would it be better to hide them away in confined inaccessible spaces that allow leaks to seep away undetected for days, if not weeks, building up a capacity of trapped inflammable gas, a combination of circumstances perfect for a highly combustive and forceful explosive event waiting to happen. I think not. Rather the gas piping was in a well-ventilated area that prevents any significant build up, that is frequented by a very versatile detection system – People. Furthermore, should repairs be required they can be expedited and minimise disruption to inhabitants. So, BBC before you run a vignette on the Grenfell Tower picking up on facts like the change to how Gas pipes are routed through a building, do some basic research and understand what you’re talking about first. Just because a resident may have logged a complaint that is sitting in some public service office or website does not mean it is fact. Building materials – The pillaring of Teresa May personally or even the Conservatives Government for the Grenfell Tower fire, is opportunistic snipping doing little more than undermining in the eyes of a Global audience the auspicious office she holds. The fact that the BBC have contributed to this in their own distorted way is regrettable. Behaving like protagonists of emotional social distress with their selective statements omitting in almost all their reporting that the building materials appear to conform with fire standards. Furthermore, that the purchasing decisions to go with a cheaper material could just as easily be determined as no more than the prudent expenditure of public funds. As for the Labour party, it is pure political opportunism of the most callous and duplicitous nature. When the legacy of the building regulations and materials goes back to labours squandered mandate form the country under their former war criminal leader Tony Blair. If the media want to broadcast body count headlines and point fingers then they would be better served reminding our youth of the death toll on Labour’s watch in recent decades. More British (and international) lives have been lost under Labour leadership, with premeditation, than many times the regrettable Grenfell accidental loss of life. Furthermore, where Grenfell will see the acceleration of much needed fire improvement standards adopted in UK building controls and the increased safety of life, Labours death toll has contributed directly to the global instability and the extremist acts of terror on our doorsteps, a festering sore drip, dripping its legacy of death. If the media had any interest in communicating and magnifying a truth they should look under their very noses. Hiding in plain sight and sound the Labour Parties leadership team. o National Threat – He is a self-professed pacifist and in his inability to come to terms with the implications of this he is a threat to the nation by suggesting he is of the right character to protect the UK, where by his own volition he would not take the ultimate step in its defence. How can he possibly be considered as a candidate to lead this proud nation? There is nothing wrong with being a pacifist, it is the character flaw of not knowing when you are out of your league that is the problem. As such an aberration risks compromising more than an individual. He is prepared to put at risk a whole nation for his own extreme personal belief. This is simple insanity. There are no half measures on this subject. o Hypocrisy – As a Pacifist he is doing a remarkable job at stirring civil unrest through his demands for people to march and to overthrow the government. He cannot be ignorant to the realities of the class war this is fuelling which risks turning to violence. o Un trustworthy – Prevaricating that Labour won the election when they only achieved 39.9% against the Conservatives 42.4% of the popular vote. Even accepting that the popular vote does not always win the day as we witnessed in the USA, the voting seats in our House of Parliament placed the Conservatives 56 (fifty-six) seats ahead of Labour. That Mr.Corbyn is called losing. o National Threat – Tweedledee to a Corbyn Tweedledum he has a track record of being soft on Terrorism. He signed a petition calling on the UK to lift a ban on the Tamil Tigers, which is listed as a terrorist group by the European Union. His views on the IRA removes any doubt over his poor judgment making him a risk to National security. Quote: “It’s about time we started honouring those people involved in the armed struggle. It was the bombs and bullets and sacrifice made by the likes of Bobby Sands that brought Britain to the negotiating table. The peace we have now is due to the action of the IRA.” https://www.theguardian.com/politics/2003/may/30/northernireland.devolution It took him more than 2 years to make any form of grudging apology. o Untrustworthy – The numbers on the student loan policy he has drummed up would punish the working classes he pretends to defend. It is the affluent that he hates so much who pay back these loans and the exorbitant 6% interest they accrue, not the less well-off who can see their loans expunged after 30 years. o Violent Protagonist – he has been inciting social unrest, stirring social hatred by asking his faithful lemmings to march on the heart of our democracy and cause the downfall of our democratically elected Government. o Un trustworthy – She should be questioned on the grounds of sound judgment along with her red-fellows above (yes you read that correctly), as they all spend so much time on their soap boxes lauding victory at the recent general election in the face of the true reality, they lost. o Hypocrisy – As a politician more than in almost any other role in society where it is critical to walk the talk if you want to be taken at all seriously. She cannot and is by no means alone amongst her colleagues in this trait. The Labour Party opposes selection and Thornberry sends her children to partially selective educational establishments. It is hard to argue against her good sense in such a choice though. How can Labour even regard themselves fit for office. Even if they could muster a majority which is not realistic, assume they got the support of all the other parties they still would not have sufficient votes to out vote the Conservative (excluding Sein Fein as they have never taken up their seats as they refuse to swear loyalty to the Queen). Labour = 262 + SNP/ 35 + Liberal Democrats / 12 + Others / 13 (less Sein Fein’s 7) Total = 315. That is still x3 seats short assuming they all turned up. I remain dumfounded that the mainstream media are not making a laughing stock of the Labour Party. Their political parody should be headline dynamite. Their collective peddling of such basic untruths should make prime headline material questioning their honesty and raise serious challenges as to what is their true agenda. Labour are demonstrating they cannot be trusted to guide those under their spell let alone a country at large. They are lying to the country on such a basic fact as the result of the General election. If they cannot get that basic piece of maths right they have no place in government. They simply cannot be trusted to tell the truth. The final fallacy that seems to fuel Labours firebrands on their soap boxes is austerity. A political narrative spun by George Osborn who in selling the ‘living within our means’ mantra proceeded to do quite the opposite whilst exercising creative accounting to prove his piety. Sir Nicholas Macpherson, Permanent Secretary at the Treasury wrote an exceptionally important article for the Financial Times making it clear there has been NO AUSTERITY. Gross public debt actually rose as a proportion of national income between 2010 and 2016, from 76% to 89%. UK National debt nearly doubled to an eye watering £1.7 trillion and public spending barely fell. Oh yes and NHS spending is higher in real terms than it has ever been before. You would never believe it listening to the way Labour bang on and remember they intend to borrow MORE. George Osborne’s tactics are coming back to haunt as the architect himself flees to take control of the headlines and no doubt protect his sorry legacy. While Labour like luddites protect jobs with their myopic perspective on the future, instead of supporting the automation and technology evolution. Whilst it will inevitably disrupt in the short term, its potential to drive economic growth and employee productivity is plain to see. The productivity gap between IT sector companies and traditional companies is tangible, this is not an accident. Automation will open up new opportunities as the typing pool gave way to the PC generation, so robotics and automation will give way to things beyond our current cognitive horizons. History has shown this time again, it is time we looked back and trusted a bit more on what such reflection can encourage us to do (and not to do) in the future. For now, how the youth of today have been hypnotised by the Corbyn rhetoric, swooning to the Labour Manifesto bribery clauses. As they get closer to the grave than the cradle they will start to feel the burden of that youthful exuberance.